The mobile space folds hu-connection. The folding of productive or operational space/time (e.g. productivity/time migration: smoke signals-2-letters-2-FedEx-2-encrypted/signature email-2-IM/Skype-2-MobileSkype) is also a byproduct of tech advances. To learning-to-evolve is quite a bit different than to evolving-to-learn. Meta-learning for example concerns the necessary cognitive abilities to make learning happen with intention, habitually, and to also, one hopes but not necessarily, to learn how we learn as unique learning and evolving human beings. This is where the migration to learning-to-evolve as individuals and (ever greater potentialities of) synergistic systems of individuals begins. Hu-Evolution, in my nutshell, starts with our natural genetic dispositions which are innate and distinctive for each and every one of us… this being the developmental foundation for what makes us “special” (our Purpose (and our core “learning” direction in life) is and should be based on our unique-ness) and therein how we can become more and more innately complete and therein more coherently (progressive potentiations of greater hu-synergy/time) synergistic with others. We can only hope that all of our learning experiences move us in the direction of evolving our uniqueness as individuals; and from this movement do the same within and throughout global systems of individuals, e.g. teams, couples, families, companies, cultures. Our life environments both trigger and nurture these innate and unique personal dispositions, or not, and to varying degrees between. I am not sure you have noticed but there is a great and tangible yearning in the world right now for personal sense of what one might term a “true-self” – as one’s uniqueness seen and felt more clearly and coherently; and from this, a personal sense of meaning and purpose based on this fundamental foundation of the person. (Oh, and this has nothing to do with our “character development” curriculum or much touted “self-esteem” thinking… This is new territory). I called this The Great Yearning. You have all seen the explosion of quick (superficial) and “fun” self-evaluation quizzes. For example: “What kind of drink are you?”, “What kind of Asian are you?” (I kid you not),”What kind of Soul are You?” (http://www.blogthings.com/whatkindofsoulareyouquiz/), etc, etc. This is a real indication of, and reaching-out for , “a learning” that the market of human beings is screaming for help with. More than ever before (at least now quantifiably manifest within the soc-net app space) the question of genuine-ness, and by natural extension, a more genuine quality in human-connectivity is being spoken of, both directly and indirectly. Learning what makes us for a “genuine” human being is no different than learning, and then living (daily), the who, what and why of each of us… what makes us YOUnique as individuals and by default, what we are here to do with our lives. Mobile-Learning can be the platform for insights concerning personal evolution and natural gift-centric and innate dispositional-centric assessment over time, day-by-day and these are mobile apps (as a suite) I am currently working on. Without knowing who and what and why we are (with the how, when/where and so-what part of the question-matrix) … we unfortunately “learn” (mobile or otherwise) without the conscious, guiding foundation of our innate Self, and we tend to be learning and acquiring knowledge through material/symbolic (vs. significant or naturally-driven) motivations, and as a universal (almost) consequence evolve without intention or design, i.e. market and external driven learning motivations. Re: The message that got lost in the framing… allow me to reframe. My originating presentation is simply about the most fundamental learning and development needs (conscious or not and beyond food, water and shelter) of individual Hu-users – as uniquely gifted and disposed individuals – each with DNA-based, gift-driven “life-probabilities” as a unique “Self” – and how online data (both behavioral and future cognitive and derived meta-cognitive patterning) about each of us can be used BY each of us AND FOR each of us for the explicit purpose of better Seeing, and therein coming to better Know, our innate and natural and potent human Self. … then the piece went on about what we could do (technologically) to obtain all that Self-data and to ultimately be the holders of the optimal aggregate of that data concerning each of our “data-pictured” Self’s. I am not interested in the unfolding and fighting around current or future Data-Ownership Law – that fight is for all those complementary other Hu-Beings that are gifted and living on-purpose in that world – I am interesting in human and healthier human-systems evolution – in assisting people is seeing and living their lives in a way that is aligned with their innate and natural gifts and dispositions – Gift-driven Autopoietics. It might be at this point that corp-world asks for, and then pays us for (if we chose to give it up) what they are missing – fuller continuity and a “more whole” picture of the new Us, the autopoietic Us-er. Many “others” are gathering data-chunk(s) of us but, as individual users as (conscious or not) originators of our own perceptions, memories and resultant actions-as-behaviors we are (or should/can be) in the best position to pull together over time, day-by-day, the very best aggregate picture of ourselves… as we change, and more importantly as we might evolve (or not). It can only begin the moment that the management our own personal Self-Evolution has value – as that moment each of can see the value of Self-Data collection as a first step in managing our own evolution. My work is about using that moving-picture in a manner that provides users-as-individuals an evolving measure and moving benchmark of their Self. You can’t manage what you can’t measure, right. Self-Data acquisition is an interdependent piece of larger whole for me. You can see a facet of this bigger chunk at https://imonad.wordpress.com , my Ecology-of-Mind Blog. All this chatter conjoins with a number of other parallel, synergetic and emergent human social movements going on such as the new area of Self-Quantification (See Meetup.com groups with that name). It is only through knowing one’s Innate Self that we can live the “Why” of our lives, why we are here in the first place – living in “significant service” to the world and living On-Purpose through our most potent gift-founded Self. Funny that… my father asked the same question when I introduced him for the first time to my work in the early 1980’s. He asked, “So what’s an “oh-oh”! Ah-ha, “aahhh” and “ha-ha” are the three big primal human utterances (Oh-oh is right up there but 1st cousin to ah-ha I suspect) and many have repeated the work of Arthur Koestler concerning these three. My take on it is that these three primal utterances we ALL make are psycho-physiologically interconnected, and ah-ha is the result of a juxtaposition and combination of what happens within us when we experience aahhh and ha-ha together. t is as if learning something new from anyone else is something less intelligent, unprofessional and unevolved people do. How ironic. 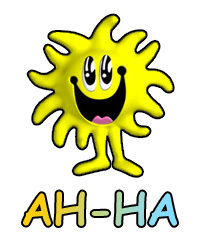 I have seen people actually fight off saying “ah-ha” out loud and in public, to ensure not sharing the collegial connection and social-learning intimacy. It’s sadly, sadly hilarious to me. It is Time to Measure Our Ah-Ha's and Our Patterns of Insight... Our "Paths-of-Ah-Ha"
I think the minute we begin to share the experience of ah-ha itself in real-time and with others around us or connected to us, and do so overtly, whether it be in a crowded elevator or workshop, office, food store, or elbow to elbow at the breakfast joint countertop, and we directly communicate it, we say “I just had an ah-ha.” Not over jolly or clown-like but matter of fact with the natural grin that comes with “most” ah-ha’s. I think the minute we let others (in) know that they helped us, directly or indirectly, in achieving this phenomenal moment-of-insight – big, medium or small – that these moments of personal human “evolution-synergy-sharing” will slowly but surely transform the quality of human consciousness-of-relationship significantly, forever and for the betterment of all our lives and that of our planet. The movement I call by various names… “Give Me My (behavioral) Data Back!” …is a wave-as-swell within a coming Tsunami…which I muse on and on about throughout this blogspace. As a “coming” or non-manifest tech or new services surge it is, by default, an emergent “development” question, and one that will need answering sooner or later. And now is not such a bad time to start, especially for innovator and entrepreneurs and all who are connected at the hip to that population of creative thinkers and tenacious do-ers. This is not about protecting me from others, and even from my own lack of awareness about how I may be giving up about more and more information about myself… and doing so using my behavioral and decision-making data. That is a conversation many others have been working on for decades. This is about being able to do FOR me what others are doing TO me – to become my true and genuine and real and naturally gifted Self vs. my unconscious little self – the automata with real frontal lobes that somehow over generations has allowed others to manipulate and control, which through a lack of self-awareness and/or general life-apathy, I allow to do. The moment users can see their Self in a form that allows them insight into their own behavior and engages them in a process of personal and pro-active self-control and evolution is the moment other companies will sprout up and make great ROI’s riding this new wave. These pro-human-evolution companies will profit and they will take the place of many that ironically can’t change their own corporate behavioral patterns, those who stubbornly stick to there profit making behaviors, who can’t shift with the tides and do so directly after the big swells begin to hit home. These old corporations that used our personal and intimate life living data to “control-evolve” us will need to use their own personal corporate life data to change their own patterns, as it is their “thinking and doing” momentum pattern that keeps them dancing the waltz when the music has changed to something with more of a rumba fell to it. Being able to see one’s self is an essential step in being able to change and begin to learn-to-evolve and change our data patterns. Mind you, this is a pattern very few “sellers” want us to change, at least not dramatically, which is exactly what can happen and should happen for most of us – a revolt into our TruSelf(s). This is the whole Tsunami as Human Evolutionary Wave, within which resides “taking our data back” as a wavelet. Who owns my data? Hey, why can’t I own it? Could I lease it if I owned it? Okay, if I can’t own my own behavioral data, why can’t I at least have it for my own personal use? Okay then, if you won’t give it back to me (for all the insane reasons you are telling me) can I go get it for my Self… to use to see myself in the mirror and come to know and then evolve that Self. “Can AI User Software Agents do the collecting? What would my own guided software agents NOT be able to collect for/about us? What can they acquire for me? I think this is part of the coming Tsunami, one of the big interwoven swells, and is aligned with the new generation of User Personal-Profiles… dynamic and evolving mirrors and data spaces that become our personal life coaches, our inner dialogue. This is the next gen as I see it. So, back to the point to this idea of getting the User (as individual or collective therein) their Behavior Data – you and me, from Safeway (for store) and Home Depot POS to GPS and Google to facebook, Outlook, Farmville, Word, online banking, Google, and then to Starbucks and back again – what do you think? Let’s assume you think it’s a crazy idea but who are you to judge, and you are a software genius who likes massive and complex and cool problems to solve… How would you go about doing this in terms of??? User Self-Clouds as processing and storage and “Self-Data” security? Designing new users “Self-Data Sharing” e-commerce marketing research and behavioral auto-aggregate (and payment to User) space? Active collection across behavior data signal/input and storage platforms? 4D User data visualization (colorfully nested-toroids are my preference)? Yes, this question and also how to help organizations see this strategic and socially evolved move as a wise and socially progressive move for them will help. They key in selling company on the idea of giving us our data back is all about unique human life-pattern clarity and coherence – to be able to see not just the tail or toe of the donkey but at last 65+% of the donkey, me, you, the user, customer and consumer – and potentially make MORE money from us. You see, if users get their data back then they can (in aggregate and securely) give it back as a more whole representation of their behavior patterns and of their historically predictable Self and uniquely invariant at times Self… their more total behavioral spectrum. But… we will have seen it to! Would corporate, and organizational and gov’t data buyers and analyzers prefer a more whole human behavioral pattern picture that cost them less? The only person who will allow “the total aggregate” collection, or should be allowed to have the say-so in, the collection of all their aggregate life data is the human being who owns that life or is at least manifesting the behavior (of course many would argue this source of control and could win that argument depending on the jury). So why not give it back to us and then buy it back in a fuller representation than you have ever seen before and at less cost to you, as you can use less to see more. Anyway, that’s my course grain corporate argument. There it is, share away and connect back to me if this peaks your interest. How Much More Proof Do We Need Before We Known A “Movement” Exists? After 30 years I have found that most of us are not “see-ers” but need to be shown. Those proofs-as-indicators (tremors) show that a broad and deep and life penetrating movement is underfoot and that its’ emergence is more wholistic and interconnected than anything we have seen and known before. I think this above event example (along with many others and in various forms) is just one more concrete representation of two emergent movements that are happening all around us, and acting jointly in a natural parallel and symbiotically process. 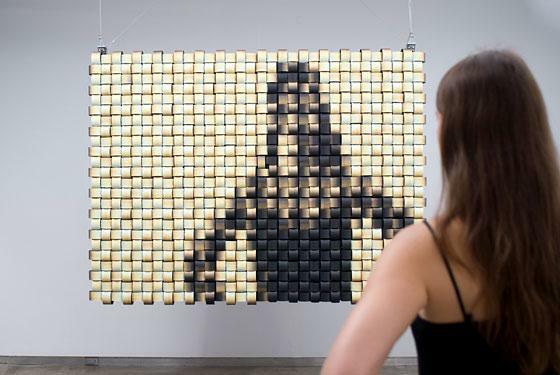 1) An emergent Ecology-of-Mind is becoming more apparent and technology is now showing just how emphatically it has been affected in feature, function and design through an unconscious mirroring and projection of the human mind upon it. 2) An emergent individual human and global cultural need and tools to satisfy that need is beginning to articulate itself – that being the need to come to know, as in more consciously come to know, our innate and natural SELF(s). Massive social-networking and social-gaming movement are obviously representative (both directly and inversely) of this intrinsically founded human effort, and the innate need of the “human being” to better know its’ true nature, its’ true Self. In terms of market movements and transformations…stand way back and consider this… Is it not simply amazing that a applied neuropsych PhD may now find themselves building human behavior and adaptive and predictive perception/cognitive data pattern algorithms within a socnet or socgame newco or is in a back room at Google, FB, Hi-5, Microsoft or LinkedIn doing the same?! Don’t you find this career shift at all interesting!? I am guessing you have to have lived outside of the wave to see the wave, or long enough to know it is one of interconnected others in the context of time. SELF-representation is a good first step, but the ontology of SELF-evolution is missing, and this is what I think I bring to the party. There is always an inverse and the inverse here is the negative pressure results of not coming to better know, not coming to be more conscious of… our TruSelf. But nobody buys those inverse arguments. Do they? Thanks for listening. Now, let me know if these “movement thoughts” resonate to you. Proofs and Instantiations of the Next Tsunami – The Human Evolution Revolution! I am just starting this “The EvoRevo Is Coming!” vision-proof-list” and will attempt to fill it up with more supporting examples. I have many, many logical (and not so logical but compelling in their own way) instantiations Ican point to and say, “There, you see that! That shows you that it is going to happen for sure!! ” …. and these moments, events, articulated social movements I will be adding are taken from way back in time to more recent social, technological, business and scientific movements and correlated events. Now… you may have to know a bit about my work to get the drift-design of the following but maybe the bullets will form their own quirky, embracing logic for you… the younique viewer. If the quirky design logic does not emerge for you then there is more than enough backgound materials here to fill in the needed gaps. Sorry, but the chapters of the book are disconnected to a degree or two. Well, if I die and my life-work does not get out there and into the minds of the masses, or an ever growing niche, and do its positive and transformative “thing”, then I would like it to be know that at least I knew something of significance… that at least I had a meaningful original thought. Please do not hesitate to share/comment on your own “proof” events or movements that support the emergence of this social and technological evolution – this movement towards the discovery and intentional living of our natural human and truly “YOUnique Self(s)” as borne from our innate gifts and dispositions, and that inherently connected movement of coming to best know and live our Purpose, our life-work, through that gift-aligned and most healthfully and naturally motivated Self. It has been, and will continue to always be about “distinction” and what makes one thing unique from another. It will also always be about alignment and identification. What will evolve and change is the nature of the alignment and the basis for it… and the consumer and business expenditures controlled by it. …or the fit-ness of the human connection. The Qualty of fit-ness is based on the quality of natural uniqueness. Our Mind, continues to mirror and project its self into technology and since the inception of technology. Many proofs here but lo’ and behold the holographic hard drive, or volumetric hard drive, of 2000-05 IBM and others. Pribram and Bohm Connect in late 70’s… and Holonomy is born, quietly. Cloud computing diagrams looks like a neuronal, glial cells and/or dendridic cell networks. Dear Cloud architects, look familiar? New proposed business organizational design illustrations look like nested toroids. The inside of the very cube-ish Borg ship in StarTrek is in fact a toroid. The synapse is shaped like a 2D toroid. A firing neural cell looks like a “Mexican hat” image, analogue and wave-based, which looks just like another new organizational design illustration. Goddess RifTxt goes online with geo-human context iPhone App in early 2009. Oprah brings an author on her show in late 2008 who has written a book on, guess what, aha’s! This episode of her show creates such a positive stir with her viewers that Oprah adds the “aha” feature to her shows website… she creates a web space for people to record their “big aha’s”… this becomes a huge success. The word “Flo” becomes part of the global consumer lexicon in and around 2000. The phrase “Ask Yourself” becomes common in consumer content, sit-com TV and web TV, movie scripts, etc… and even the everyday verbal life of human beings in and around 2000 as well. Hewlett-Packard does an “Ask Yourself” television brand/Ad campaign spot series “The What if…” campaign. Apple begins to shake up the world by focusing on human distinction and Be Unique type Brand/Ad campaigns. Calvin Klein does a “Be It” brand advertizing spot campaign. 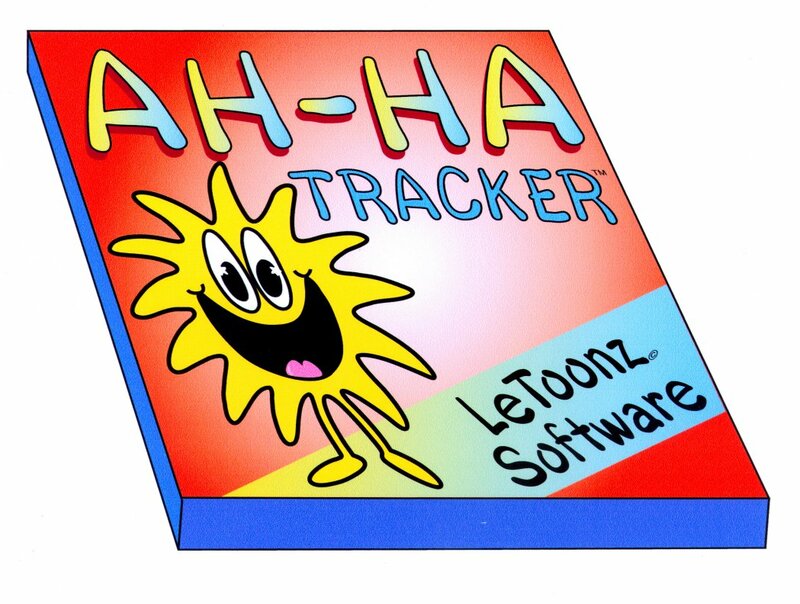 But there’s more to come as the variables listed, the LeToonz characters-as-variables, are seen as a whole; as an human and human systems evolutionary process-model. So far the rest of the world see’s them a isolated pieces… If history is any indication this will change too.